Mavi was designed in able to inverse magnetic fields and cause eletro-magnetic distortions and EMP depending on desired output frequency and strength. Makes detection holes in radar, sonar, shield generation bubbles, power plant and fusion generation disruption on Jumba's command. 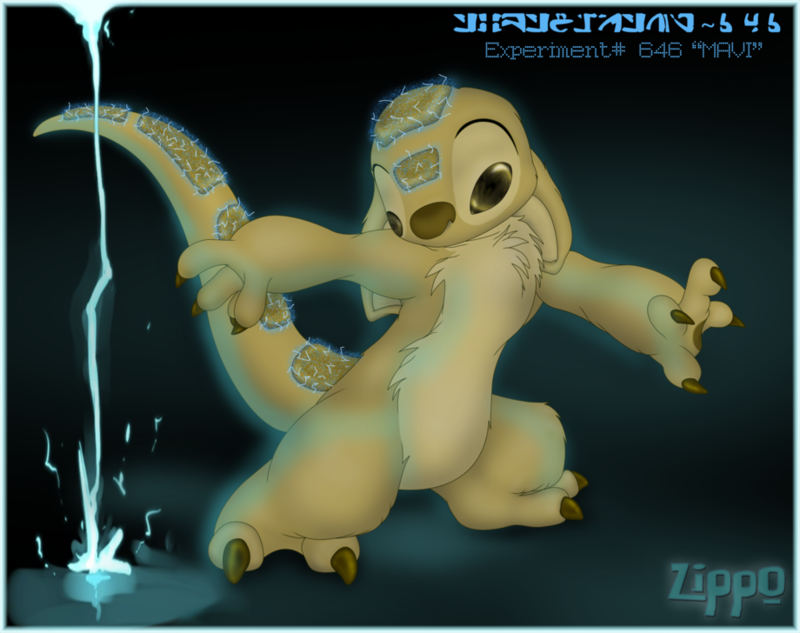 Shi has a mind of hir own but will help Jumba when called upon. 646 is a male-herm, bisexual and open to other species, though rendered infertile from hir own powers. Is friends with Experiment Sparky as Sparky can travel through hir plates and share a special connection otherwise lost on other lifeforms. Likes to watch a planet's rotation make it's star disappear over the horizon so the xrays, uv rays, long and short waves outside and with the visible color spectrum mingle across an atmosphere. Cool, but what's he made to do?